Transcultural Buddhism: Upstage the Unbelievers Wherever You Find Them! Upstage the Unbelievers Wherever You Find Them! "Temple fairs are a historic, integral part of Lunar New Year celebrations for many, but their origins are somewhat more competitive than one might imagine. Buddhism and Taoism both reached their peaks during the Tang and Song dynasties respectively, and they used to compete with each other by holding performances in order to transmit their doctrine and recruit followers. 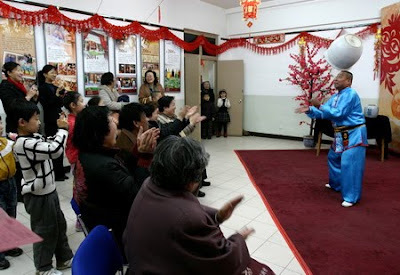 Dances and dramas were added to the activities, and people from all across China came to participate and enjoy. Later, vendors began selling goods at these fairs, turning the temples into markets.